Hooray how exciting is that! Well it is the bestest kitchen ever... in the whole wide world... completely and utterly the best! That's very nice! I love the grey with the red. 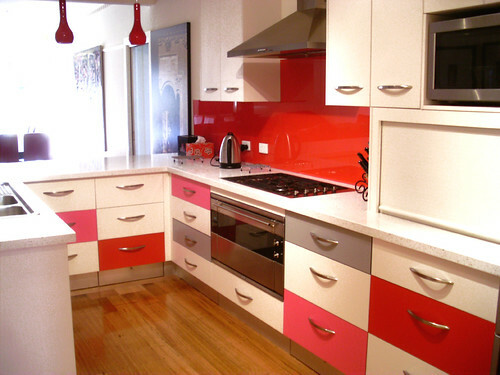 And the great red splashback! Wow ... it's gorgeous !! happy cooking & eating in this one !! How fun is that!?!! I would even like to cook in a kitchen that beutiful. Looks even better in real life!!! love that blog and am a sucker for before and afters! Love the kitchen Andi, looks amazing. Enjoy!